*Closed on February 4, 8, 12, 25. 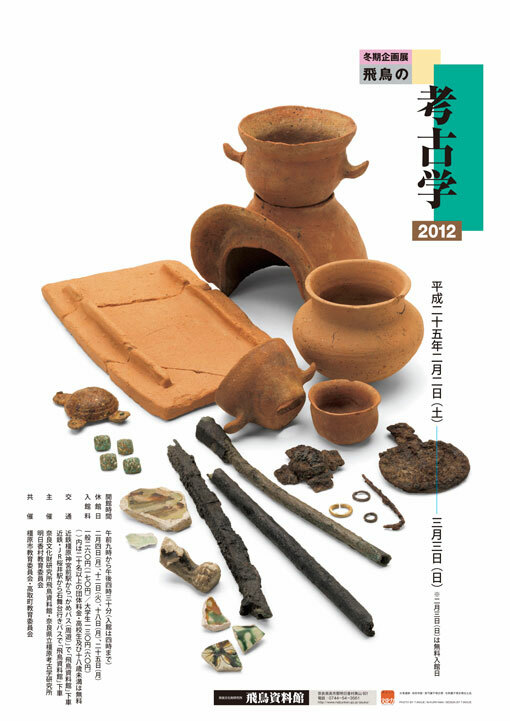 In the exhibition we introduce the results of archaeological excavations carried out in Asuka area. For example, detailed data about the Crypt was was obtained by the resumed survey of Kitora-kofun, and in the excavation of Asukakyo-ato-enchi Site reserchers found stone bank piled higher than 3 meters to protect the garden pond. We also would like to pay attention to recent investigations about cultural trace of immigrants from the continent in this area, such as findings from Youraku Kansuzuka-kofun in Takatori town.